Welcome, Husker Nation, to Blackshirt Monday. Im joined today by my son, and future Blackshirt, Jacob Carriker. Say hi to the people, Jacob. Now, heres something I was going to talk about yesterday, but I didnt. But Im going to go ahead and address it today. Im just not a fan of Ed Cunningham calling our games from the announcers booth. There, I said it. Now Ill move on. Now, as far as the Blackshirts, in four conference games so far this year theyve held three of those opponents to under 16 points. And in seven games so far this year, Lockdown U has forced 13 interceptions. Now Purdue quarterback David Blough did start off pretty hot. He completed a career-long 88 yard touchdown pass to give the Boilermakers a 14-10 lead early on in the football game, but he did cool off. In the fourth quarter the Blackshirts held him to 4 of 17 and the Blackshirts also forced two interceptions. Blough finished 25 of 43 on the day with 309 yards passing. Now I loved the hire of John Parrella this off season as the defensive line coach. And I love what hes done with the defensive line. They keep getting better and better each and every week. See what happens when you get a little Husker blood, a little Blackshirt blood into this coaching staff? I love it. The defensive line had three sacks on Saturday and got good pressure the entire second half on the Purdue quarterback. Now I dont know how you give those Blackshirts run defense on Saturday anything but an A. They gave up a total of 24 yards rushing, which is an average of 1.1 yards per rush, and that was a phenomenal job by the Blackshirts on Saturday. Obviously Sam Foltz is missed deeply by all of Husker Nation, not just because of what he did on the football field, but because of the kind of person he was off the football field as well. But I want to give true freshman punter Caleb Lightbourne some props because he has done pretty well this year filling in. His 4 punts on Saturday he averaged 43 yards per punt and he pinned Purdue inside their own 20 yard line on three separate occasions. Keep in mind this is a guy who would be redshirting otherwise this year, and was in high school last year. Hes filling in for the best punter in the Big Ten and a beloved human being both on and off the field. Its a bit of a tough spot for him to be in, but I think hes a young man who has handled it very well so far this season; and I wanted to show him a little bit of love. And apparently, punters are considered an extension of the defense? Ill never forget one of the years I was in Nebraska we were doing our Blackshirts poster for the upcoming season and they included the punter in it. So, I just thought Id throw that in there. Kudos to Caleb for doing a good job so far this year. 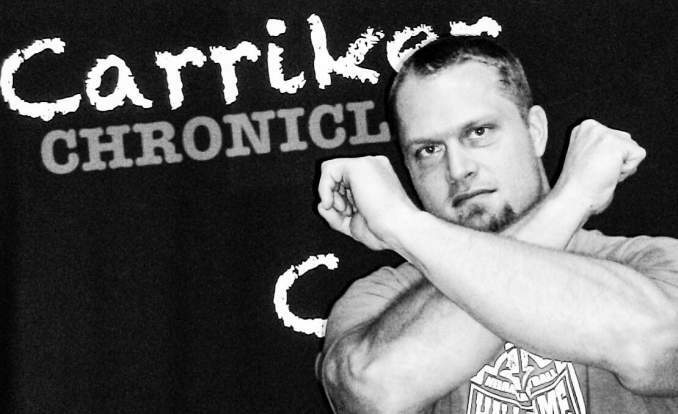 Now, be sure to check out the Carriker Chronicles each and every day, Sunday through Thursday. I keep the videos very short. Check em out. Same time, same place. So, until tomorrow, Husker Nation, Go Big Red, and always remember to Throw the Bones!